FocusPrimitive supplies user interface cues that an element has received focus. 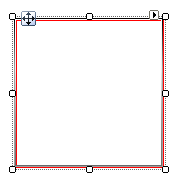 The constructor for FocusPrimitive takes a BorderPrimitive that provides the basic dimensions. Fore colors and inner colors may be set explicitly or default control colors are used.